As we discussed yesterday, practicing a little bit of care with your money when traveling abroad can save you a pretty penny. Currency exchange can really cost a person if they’re not prepared. One of the tactics I suggested in that article is to use an ATM card if you need currency when you actually arrive overseas before turning to a currency exchange desk. Although an ATM will charge you some fees and you won’t get a great exchange rate, it’s often better than what you’ll get at your typical currency exchange while traveling abroad. That means you should reasonably expect to use your ATM at some point when traveling overseas. What do you need to know before using it? First, does your card work overseas? For the most part, any ATM card with a Visa or Mastercard logo on it should be fine for use in international ATMs, but the real barrier is the policies of the bank that issued your card. So, the next step is to contact your bank and learn about their policies for international use. Can their card be used in machines in your destination country? Are there any additional fees? Are there certain ATMs that you can’t use overseas? Also, make sure you know the location of usable ATMs near your hotel(s) on your trip. This is easy if there aren’t any limitations on overseas ATM use, but if there are limits, you’ll want to make sure you know where the ATMs that you can actually ue are located. Another step you should take is to keep your basic banking information – your ATM card number, your account number, and your bank’s phone number – in a secure place when you travel. That way, if you lose your ATM card or find that it’s stolen, you don’t have to go to expensive lengths to fix the situation. You can just call the number and get things straightened out. A tip: if you travel internationally, it is really useful to have an account with a large international bank. For example, Chase and Wells Fargo banks have branches in many different countries, so having checking accounts with these banks can be very, very useful if you travel overseas very often. Why should you be mindful of these things? Simply put, these tactics can save you a lot of money. 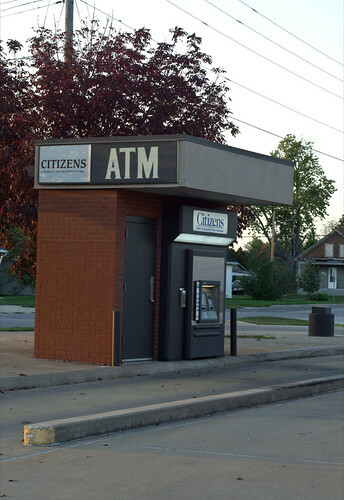 Knowing ATM usage rules can save you a lot of money on international ATM withdrawals. Using an out-of-network ATM overseas can result in some huge fees, some very bad exchange rates, or even a denial of usage. Having a plan in case you lose your ATM card can save you tremendously if you happen to lose your card while abroad. Knowing how to contact your bank makes it much easier to resolve such issues quickly, before identity theft or other problems can kick in, and they might also be able to help you continue to access your account while abroad. All of these factors equal money in your pocket.